Yes, I’m happy to say that I had this very luxury this past weekend. It was a relaxed Sunday afternoon with nothing planned, so I pulled one of my favorites by Julie Klassen off the shelf, and almost before I knew what was happening, had proceeded to read the entire afternoon and into the evening. I hadn’t specifically intended to finish it, but as the hours went by, I slow realized it might happen, so I kept breezing through till the ending reached its glorious and perfect crescendo, just like it did the last time I’d read it. :) And I finished just in time for that night’s fabulous Poldark episode, so it was a pretty great day. 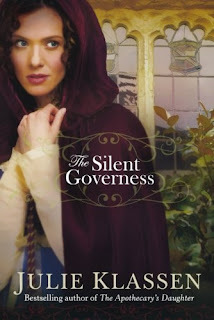 I’ve discussed Julie Klassen’s books in a previous post and could say a lot more about how wonderful they all are, but I reread The Silent Governess this last weekend, and I’ve decided that it’s in my top three of hers. It was the first book of Julie Klassen’s that I ever read, and my world certainly changed for the better afterwards. It’s intriguing, packed with mysteries, and endearingly sweet on many levels. It begins with Olivia Keene – beautiful, quick with numbers, passionate teacher… and running away from awful secrets. In her flight, she passes through the town of Brightwell, happening upon its splendid manor of Brightwell Court. Unfortunately, her chance visit burdens her with other secrets from Lord Edward Bradley of Brightwell that she never wanted to know. And he’s prepared to trust no one with it, especially not her. Though I hadn't planned it, I wasn't surprised I got through rereading this one in a day. I'm so glad I did and so thankful to have had the time too! If you haven't read this one, definitely grab it next and curl up with a cup of hot tea. You'll be amazing at how the time flies! And check out more of Julie Klassen's fabulous work over at her website. 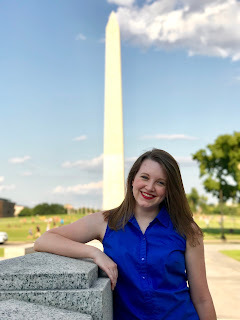 If you like anything Jane Austen, romance, or historical fiction, I assure you that she's the author for you!